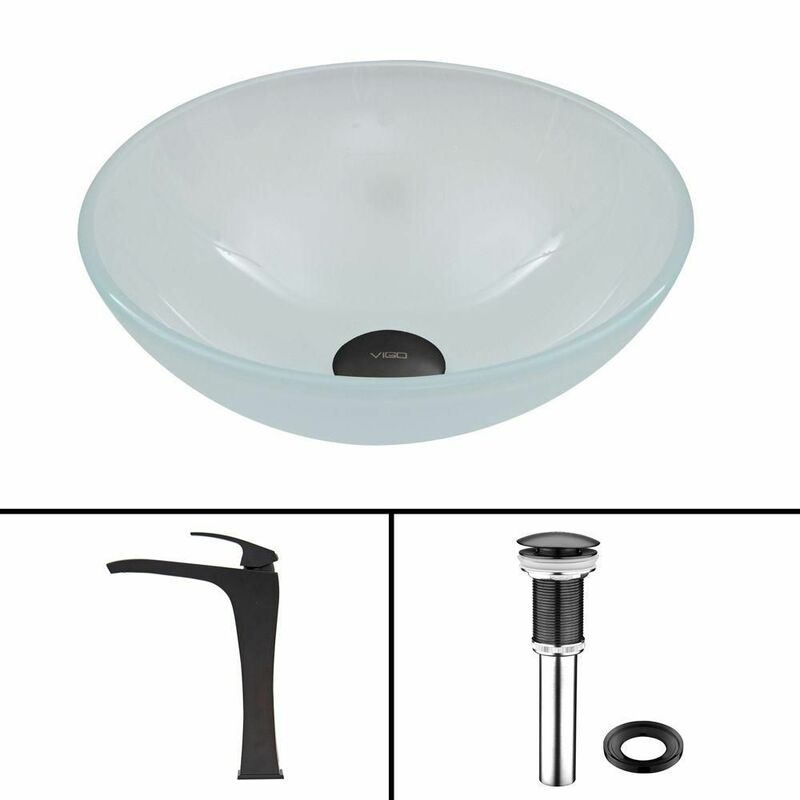 Glass Vessel Sink in White Frost with Blackstonian Faucet in Matte Black is rated 5.0 out of 5 by 1. Rated 5 out of 5 by 123456 from Inexpensive Upgrade Instructions for installation of drain should have been with that piece. We had to go on the internet to get an idea. Later we found the instructions in the vessel sink manual.